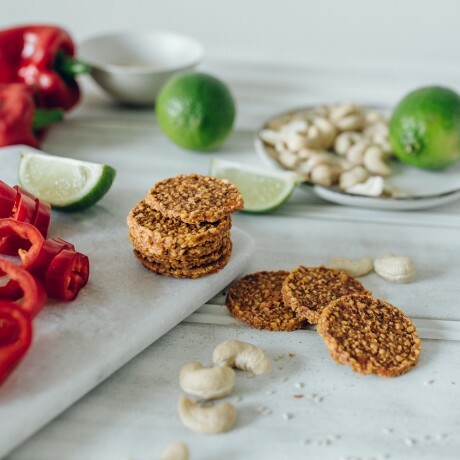 Delicious, gluten and dairy free savoury bites packed with fresh red peppers, cashews and a kick of chillies. 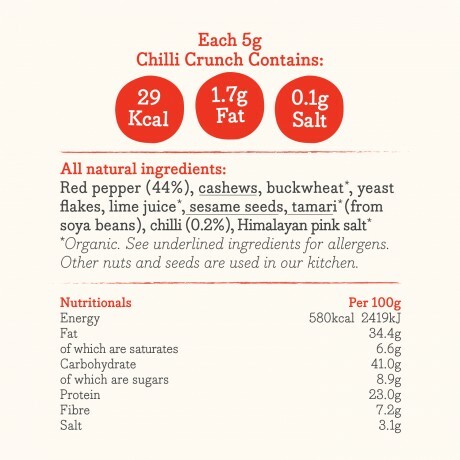 The nutritional yeast flakes used are a good source of vitamin B12. 40 - 45g resealable pots. Shelf life: up to 5 months. 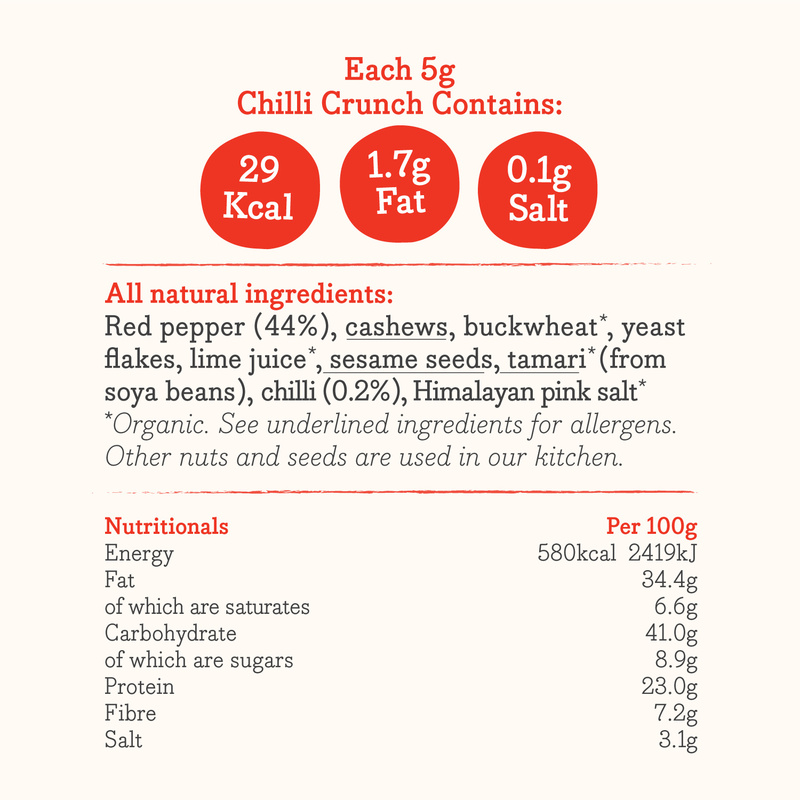 Red pepper, cashews, nutritional yeast flakes, lime juice, sesame seeds, tamari, crushed chillies, Himalayan pink salt. 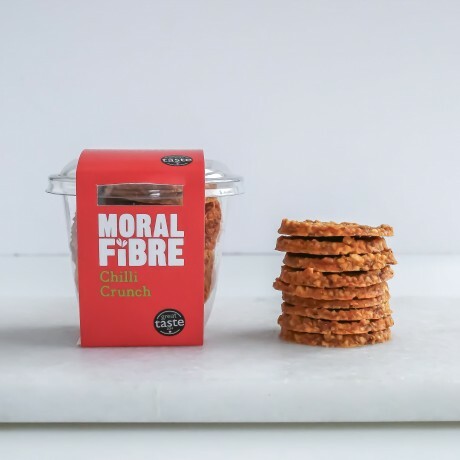 This product is dispatched by Moral Fibre Food. This item has a shipping weight of between 120g and 420g depending on the options selected.